Although he never visits the colonies, his presence and authority are greatly felt. 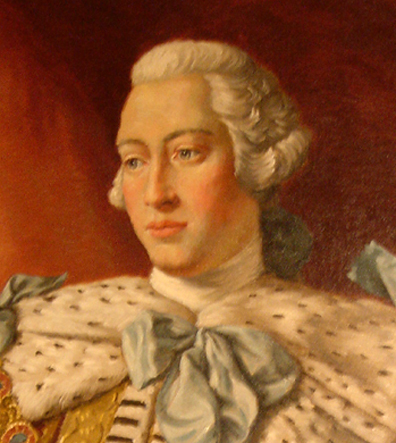 In many ways, King George III was the right king, at the wrong time. During a time of peace, his stability and reason would have made him loved by all of his subjects. However, his obsessive compulsive traits and resistance to change meant that he refused to even consider altering the nature of Great Britain’s relationship to the colonies. Had he been more flexible, it is possible that America, like Canada, might still be a part of the Commonwealth. Your portrait hangs in the Council Chamber of the Old State House. You are modest (for a king), a faithful husband, pious, and beloved by most of your subjects. Although your long reign faces many challenges, the War of Independence becomes a personal battle for you. You think of the Patriots as a lawless group of rebels and are determined not to give in to them. Later in life you go mad, making you unfit to rule. Was losing the American colonies a factor?